Japanese singer with green hair on the street in Harajuku wearing an oversized Mickey Mouse t-shirt, pleated skirt, and platform sandals. Beauty school student sporting a street casual style while out and about on the streets of Tokyo. 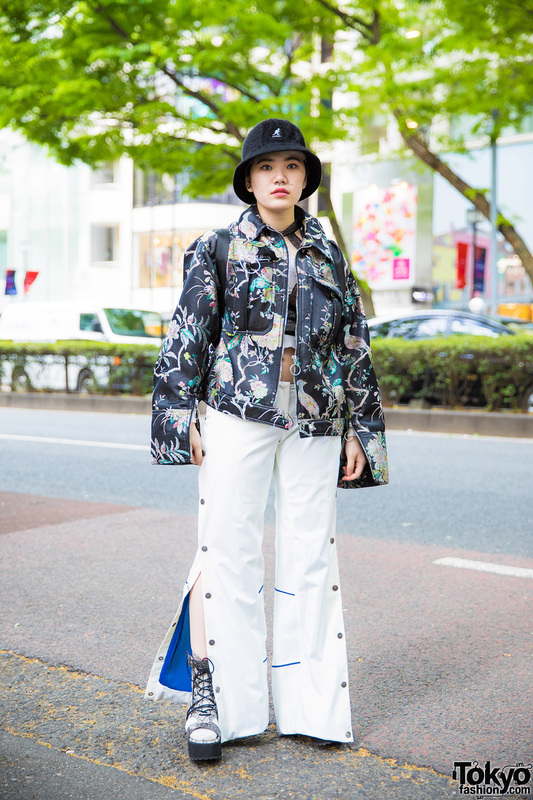 Harajuku girl in black streetwear fashion with bomber jacket over cropped top, printed skirt with side slits, block-heeled boots, and a white messenger bag. Harajuku girl in vintage clothing wearing a printed and belted maxi coat over a pink dress, heeled ankle booties, a red chain handbag and accessories. Colorful vintage mixed knit street styles at Bunka Fashion College in Tokyo. Harajuku singer and Monster Girl Asachill in black and red plaid street style with see through cut out shoulder dress, leather corset, plaid shirt tied around the waist, platform boots, and o-ring accessories. 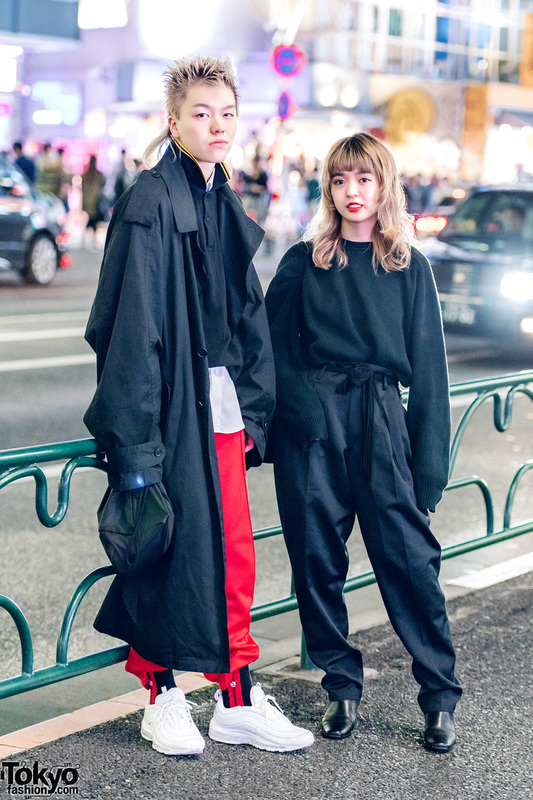 Japanese students wearing designer pieces and vintage clothing while out and about in Harajuku. Japanese students wearing vintage street fashion while out and about in Harajuku. Harajuku girls wearing colorful street style fashion with red dresses, printed coats, onesies and tights, mary janes, creepers and more.